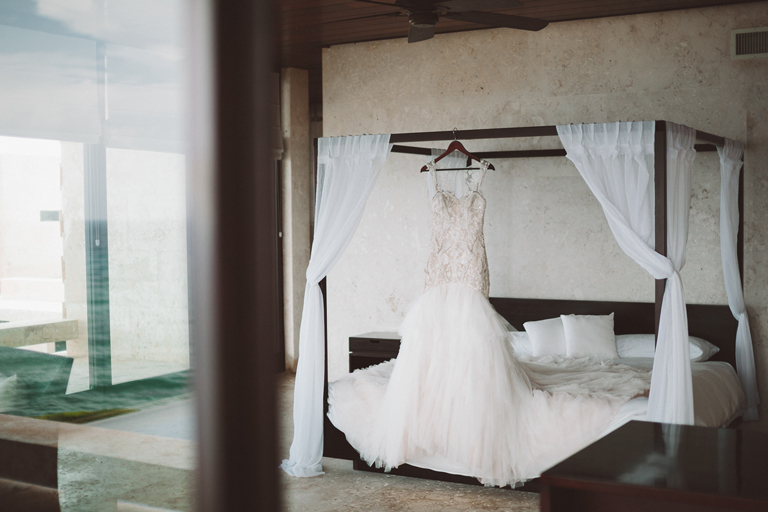 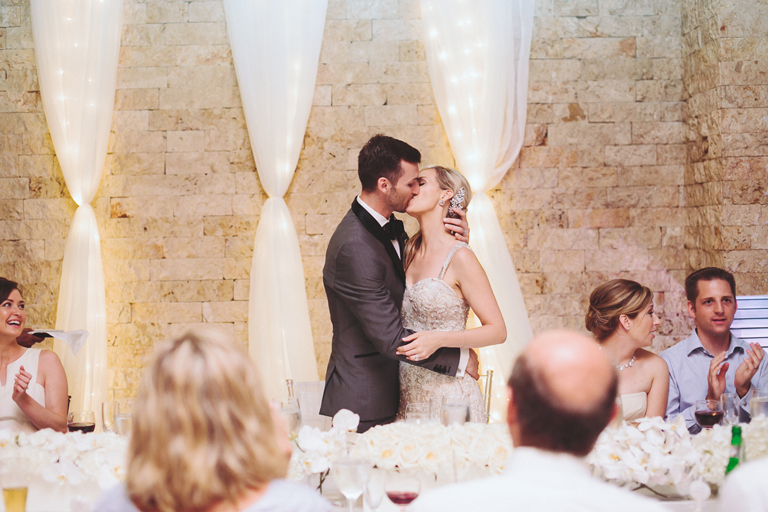 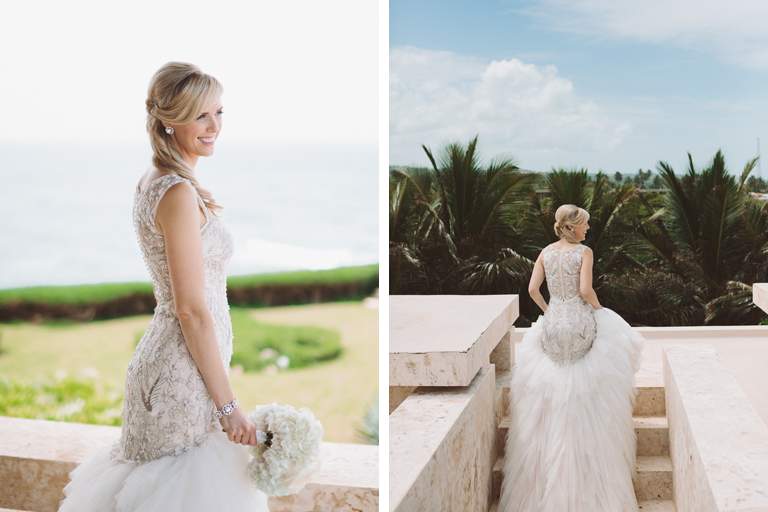 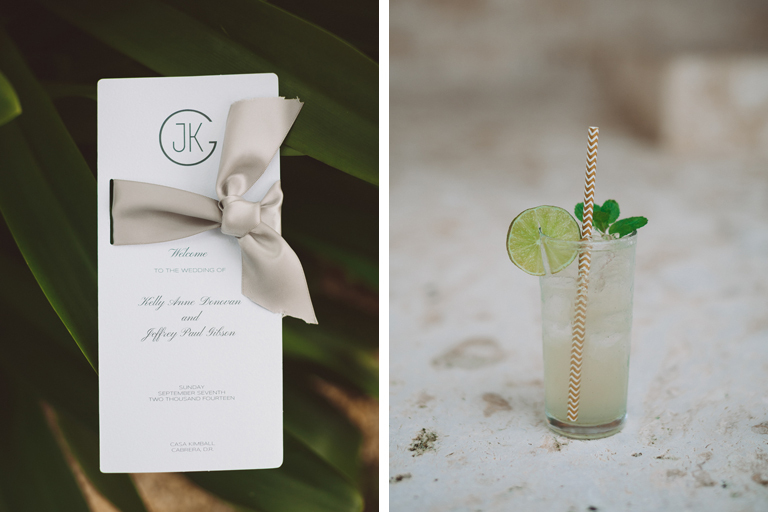 On the north coast of the Dominican Republic, a luxury private villa set the scene for Kelly & Jeff’s intimate destination wedding. 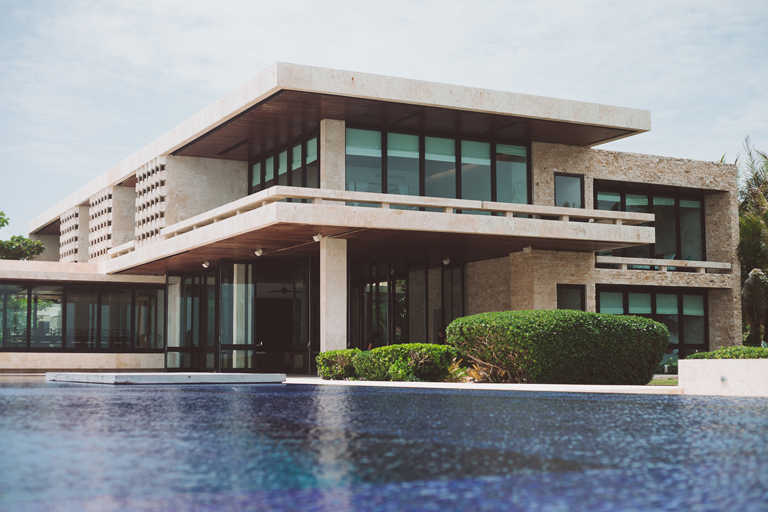 Casa Kimball, an eight-bedroom complex, is perched on the coast with stunning views of the ocean and tropical landscape, providing the ideal venue for friends and family to gather. 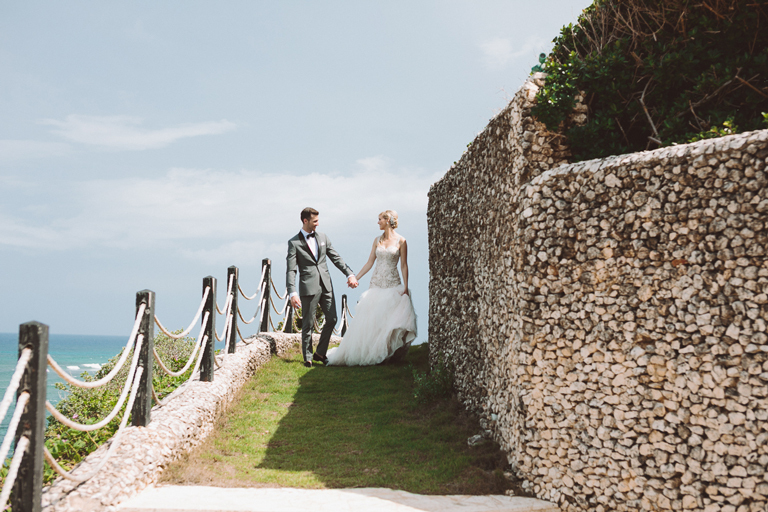 The villa’s service staff and expert wedding planning team handled all of the ceremony and reception details, including the cake, flowers and decor, so that the couple could simply celebrate. 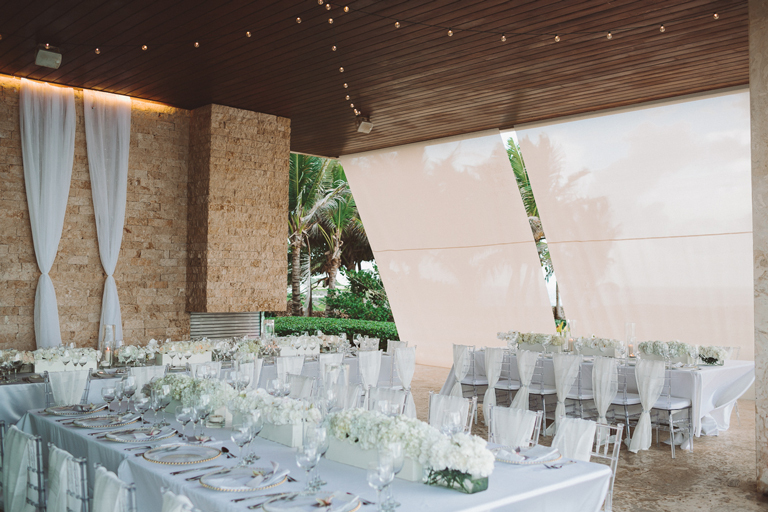 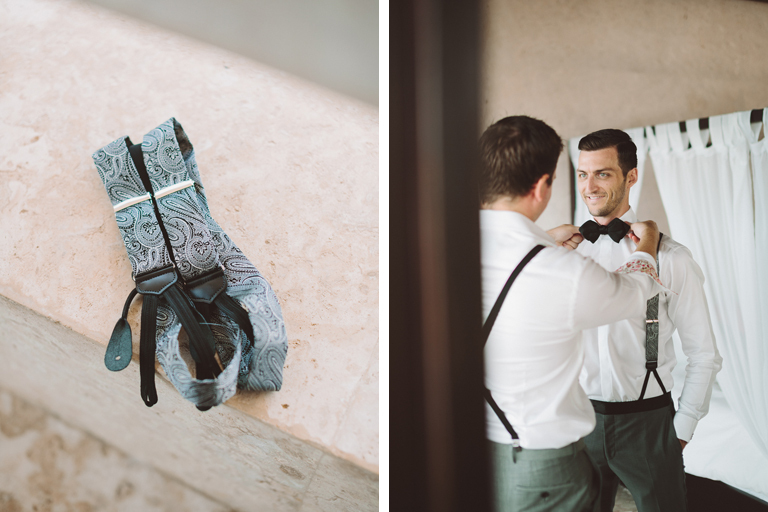 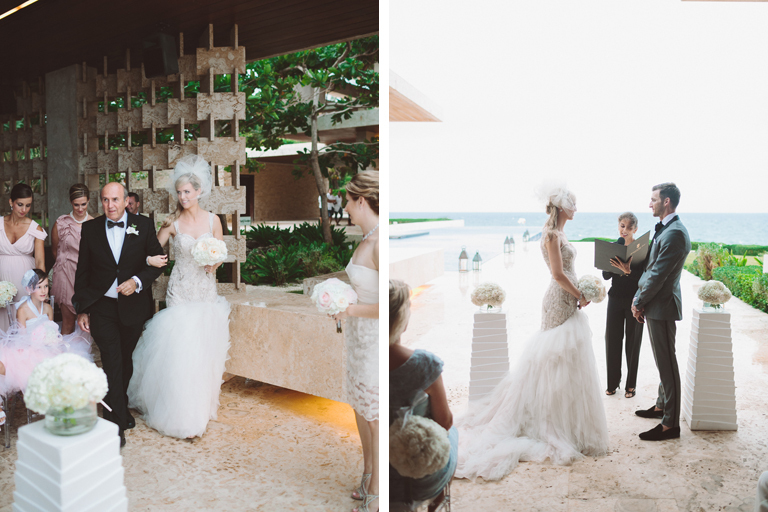 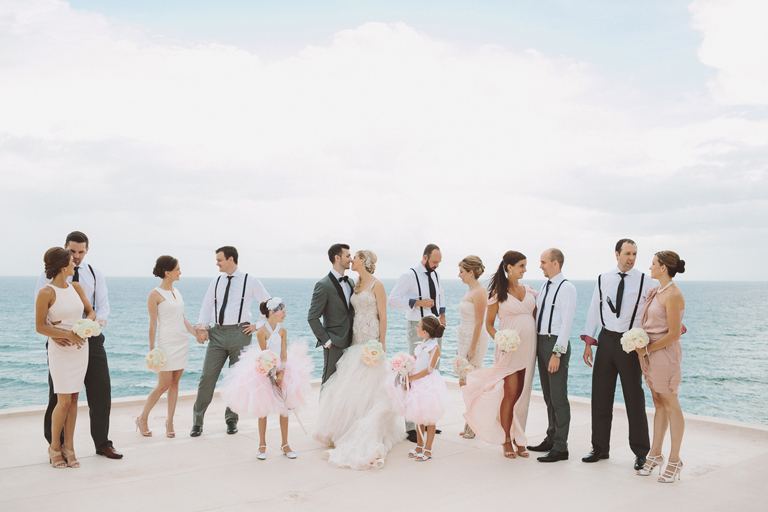 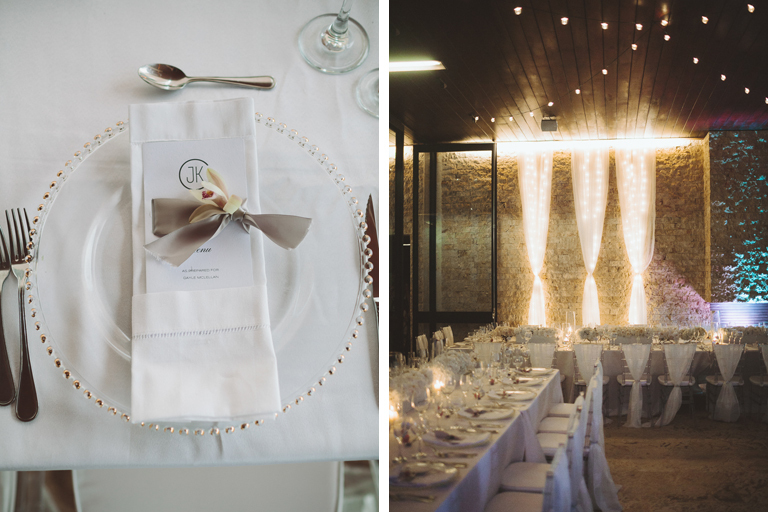 These beautiful photos by Mango Studios illustrate how an elegant and subtle color palette of taupe, pale pink and grey blended beautifully with the villa’s contemporary design and the turquoise water. 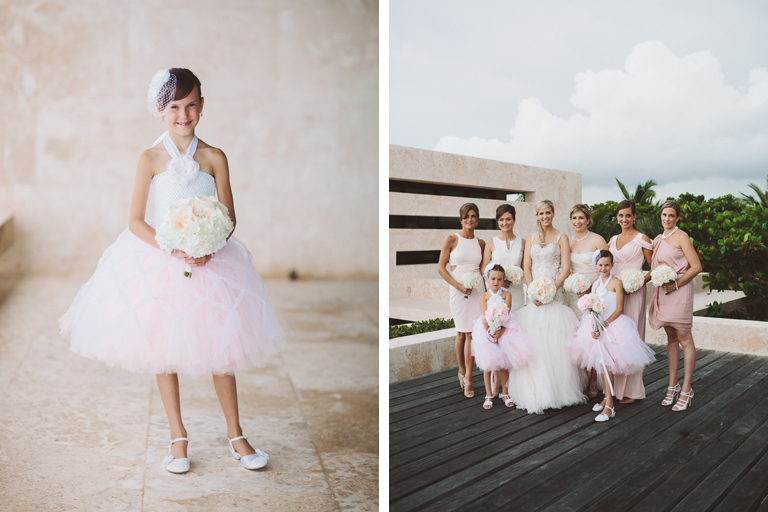 The wedding party fashions were particularly exquisite: Kelly’s gown was designed by Sarah Houston Bridal Couture, Jeff’s suit was by MADE Clothing Co., the bridesmaids wore mismatched dresses in soft shades of pink, and flower girls looked adorable in white fascinators and pink tulle skirts. 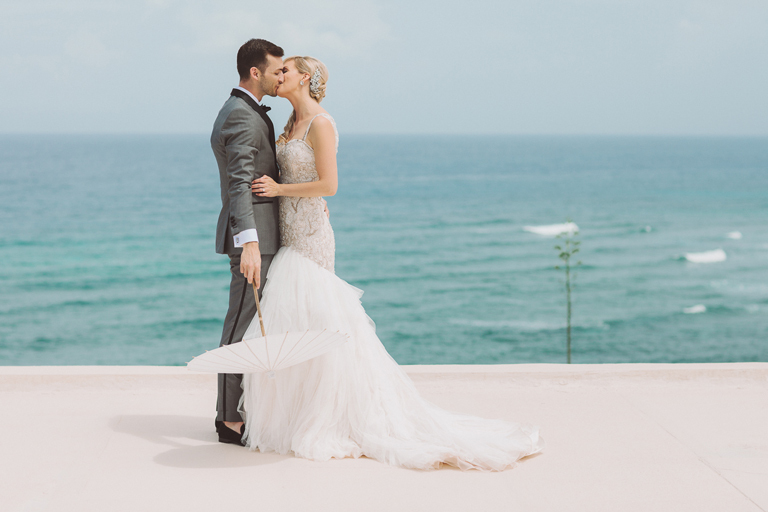 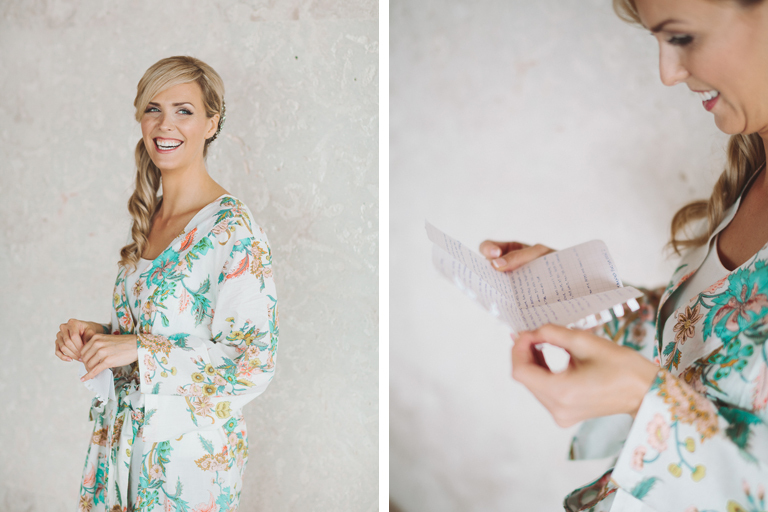 We particularly love the first look session where the couple uses white parasols as fun props for the photos taken on a terrace overlooking the ocean. 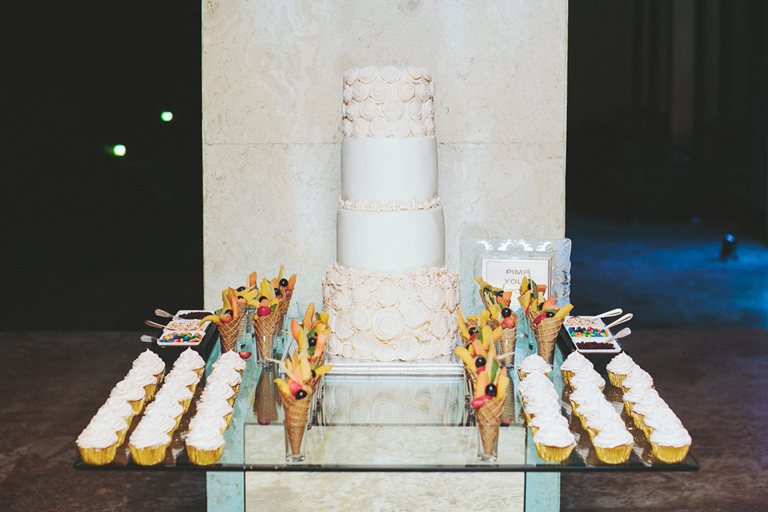 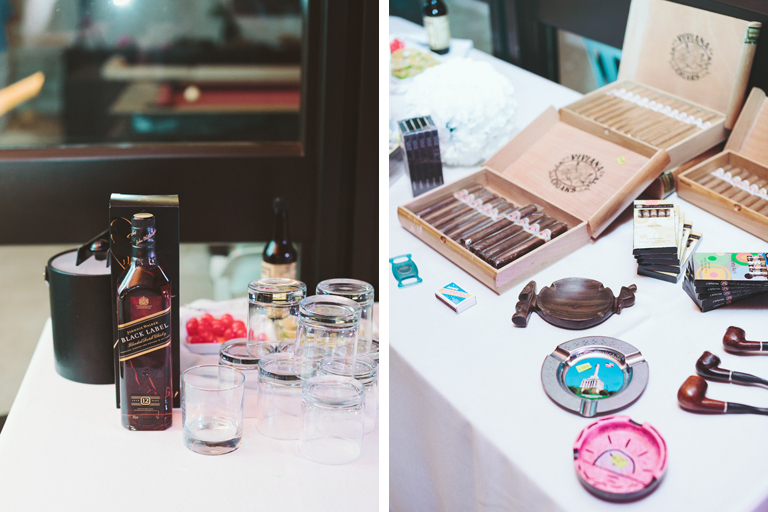 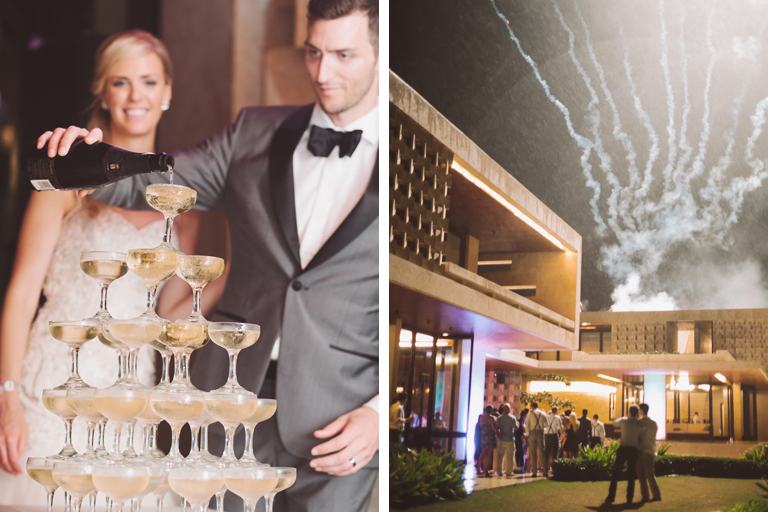 Other delightful details included a cupcake decorating station, cigar bar and Champagne tower. 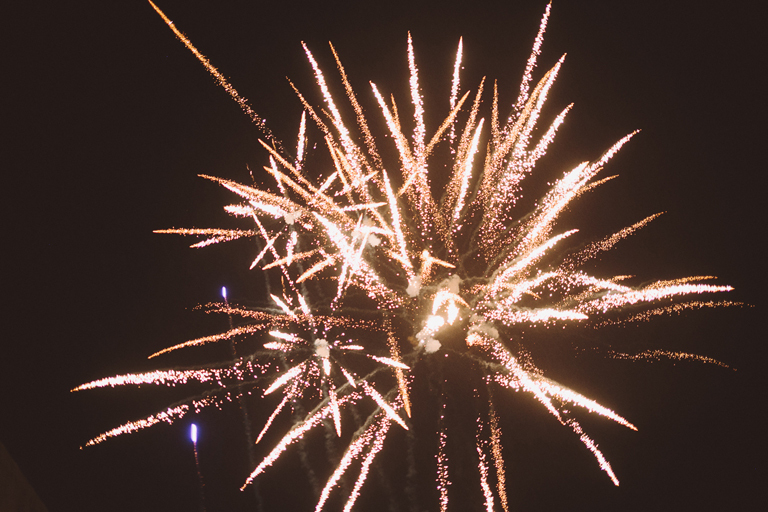 The celebration was capped off with a display of fireworks in the Caribbean night sky. 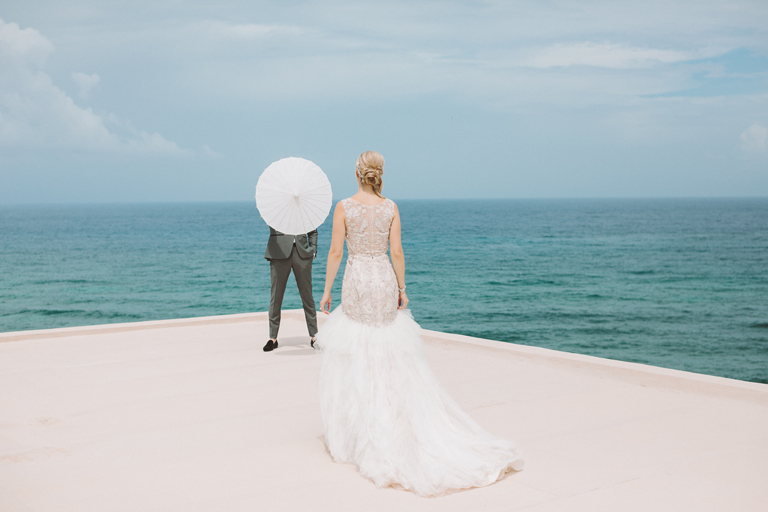 When you create your Zola wedding registry, add a new set of quality luggage, travel accessories and even a honeymoon fund to your registry, so that guests can help you travel with style and ease for years to come. 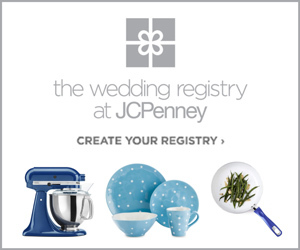 Create your Zola wedding registry, then start building a registry that reflects your couple style. 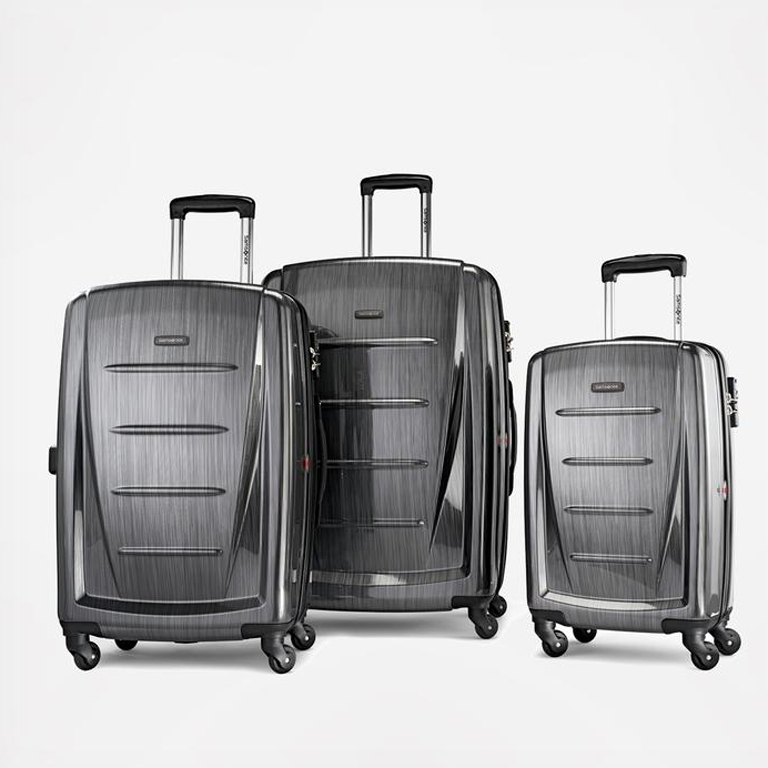 Shown here: Transport your travel essentials effortlessly and stylishly in the Samsonite Winfield 2 collection. 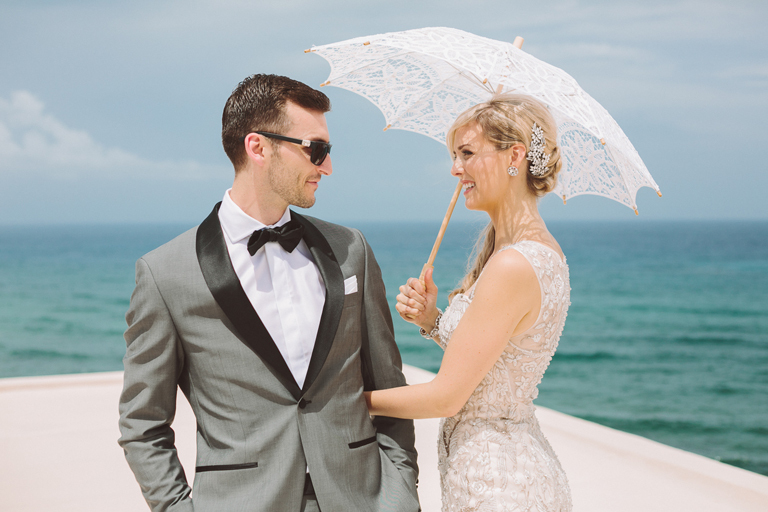 This extremely lightweight and durable spinner collection features 100% Polycarbonate construction with sharp, molded details. 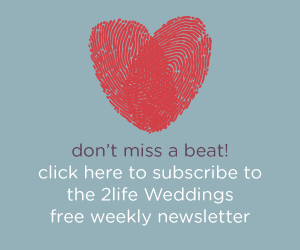 Register at Zola. 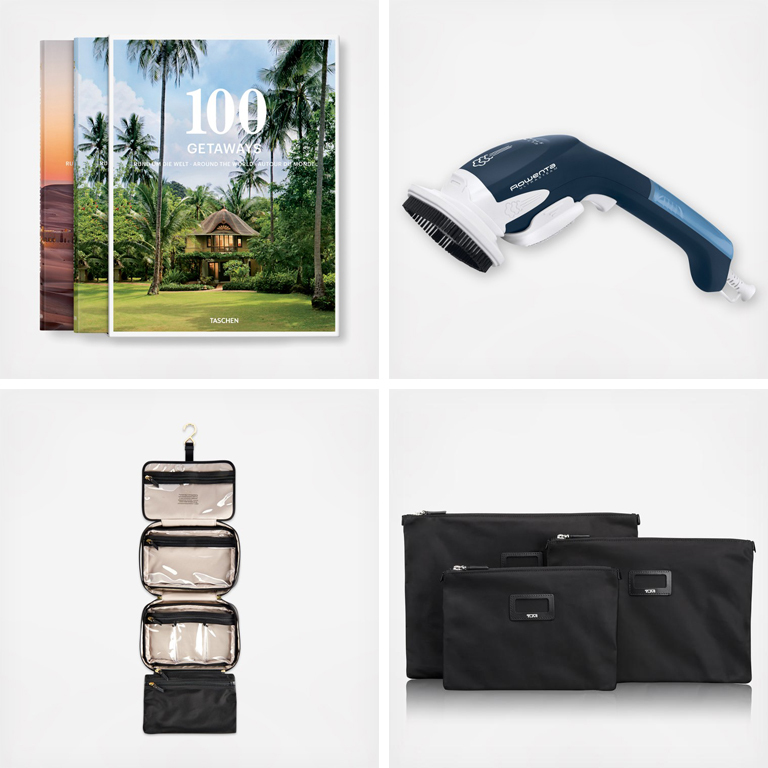 Shown here: Taschen 100 Getaways around the World, Hardcover, 2 volumes; Rowenta Ultrasteam Handheld Steaming Brush; Tumi Voyageur Monaco Travel Kit; and, Tumi 3-Pouch Travel Set. 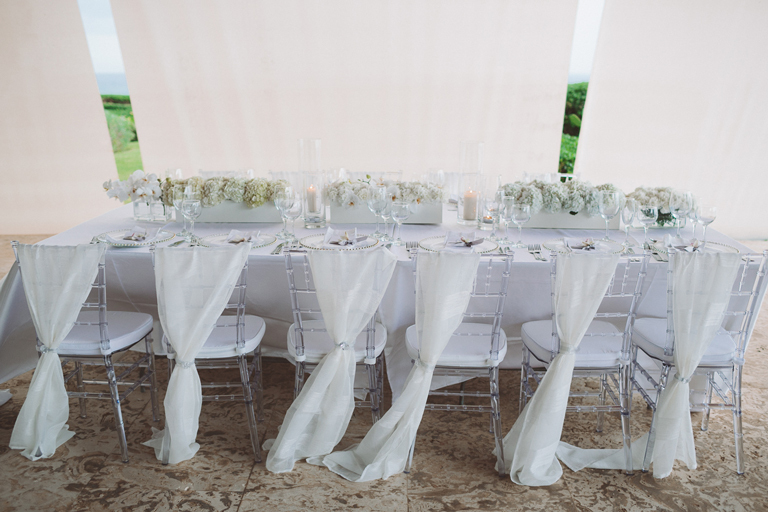 Register at Zola. 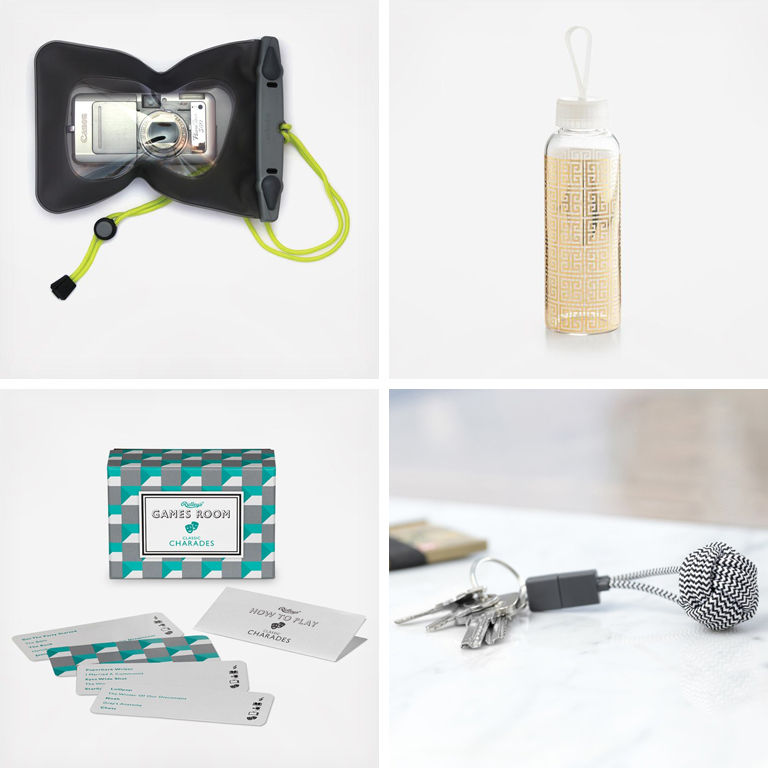 Shown here: Aquapac Small Waterproof Digital Camera Case; Rosanna Jet Setter Greek Key Water Bottle; Wild & Wolf Charades Game; and, Native Union Key Cable Lightning. 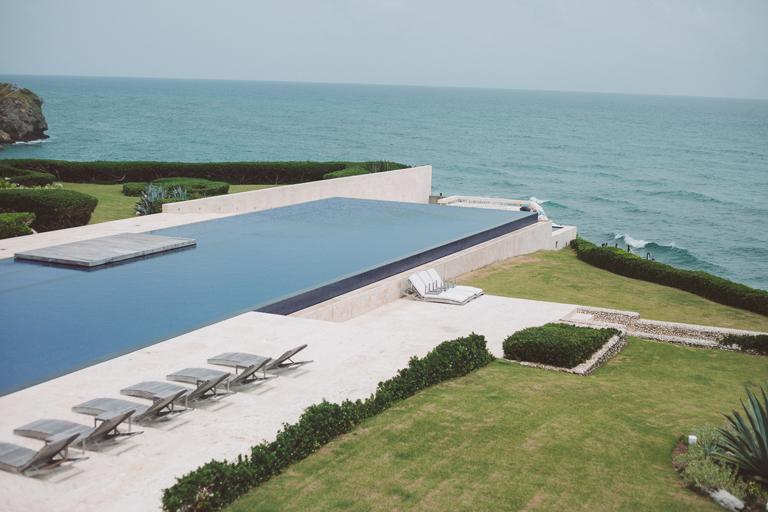 Register at Zola. 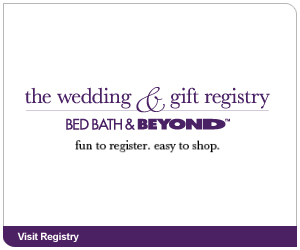 Zola Wedding Registry is a one-stop solution for the modern couple, and your guests will love it too! 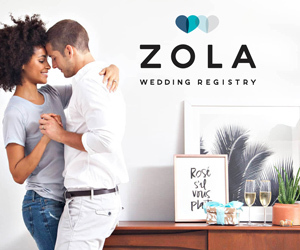 Gifts, experiences, cash funds, and anything from any store: it all fits on your Zola Registry. 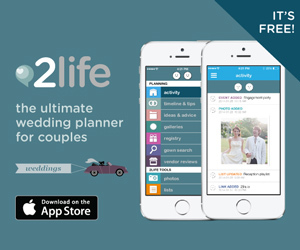 Sign up now, it’s free!